Gene Turner’s connection with an audience makes him a wonderful entertainer and speaker. His ability to infuse humor and sleight-of-hand skills into a keynote address or seminar keeps audiences focused and attentive the entire time. He can adapt the ratio of message and humor. If you prefer more serious subject matter, Gene has the knowledge to provide content heavy presentations. If your event calls for the lighter side, Gene can provide an entertaining performance with a targeted message interwoven into the presentation or conclude with the message in a memorable fashion. Topics you may choose from include: identity theft, travel safety and pickpocket prevention, and corporate safety and security awareness. Due to Gene’s vast knowledge on these topics, he has also prepared a seminar to share more detailed information. Customized keynotes focus on three to five major ideas you want to be interwoven into Gene’s presentation. 1. “Identity Theft Revealed” – Gene Turner is a Certified Identity Theft Risk Management Specialist (CITRMS). This certification comes from the Institute for Consumer Financial Education. He has done extensive research into this topic. 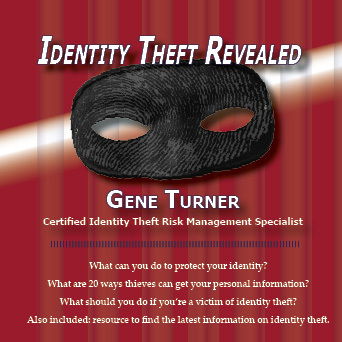 Gene has authored magazine articles and a CD – “Identity Theft Revealed”. This presentation examines five areas of identity theft: financial, medical, criminal, Social Security and Department of Motor Vehicles. During his presentation, Gene exposes the latest deceptions that identity thieves employ and provides solutions to protect yourself. This presentation is filled with facts, examples, anecdotes and humor. 2. Travel Safety and Pickpocket Prevention – This presentation is usually comprised of travel safety (80%), pickpocket prevention (15%) and identity theft (5%). It is designed to help increase awareness of personal safety in public areas and teach ways to reduce the risk of becoming a victim. Three areas of concern are public transportation (airports, rental cars, bus and train stations, and subways), hotel safety and scams. Using audience volunteers, Gene will remove personal items illustrating how quickly a professional pickpocket can distract and collect valuables. While the volunteers are unaware of the items disappearing, the audience is not. This results in some hilarious moments as the flabbergasted “victims” realize that even forewarned they couldn’t catch “America’s Friendliest Pickpocket” in action! At the end of the demonstration, Gene delivers tips to inform the audience about how they can protect themselves from pickpockets and identity thieves. 3. Corporate Safety and Security Awareness – This presentation provides security and safety tips in the workplace. This topic can be interwoven into other presentations or stand on its own. Gene focuses on protecting information on computers (passwords, emails, links, Internet, phishing, spear phishing), media devices (CD, DVD, thumb drives, SD cards, cell phones), social media (Facebook, LinkedIn, Pinterest, Twitter) and the workplace environment (eavesdropping, shoulder surfing, and personal security). Humor is interjected throughout this presentation. Gayla Tocco, Information Security Awareness and Policy Analyst, United Missouri Bank. Seminars (Half Day to Full Day) – Gene has created a dynamic seminar on Identity Theft. This provides an in-depth look at the scope of the problem and things that can be done to reduce the risk of becoming a victim. This seminar can be divided into six one-hour sessions and includes a workbook, handouts, and a quiz to test the participants’ understanding of the material presented. For shorter time spans, you may choose which modules you want to be included. Customized Keynote Presentation (Thirty to Ninety Minutes) – Gene will present a keynote with a customized message. Customized keynotes focus on three to five major ideas interwoven into Gene’s presentation all in a manner that the audience will remember and appreciate. 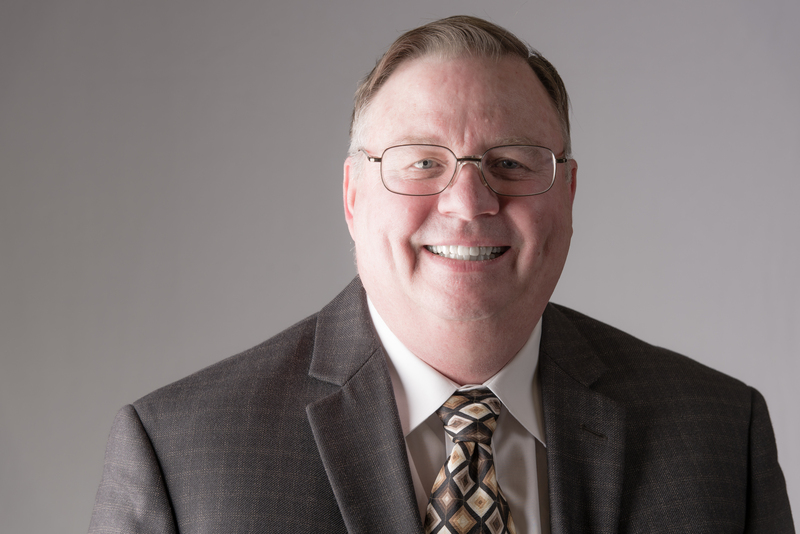 Gene will spend the time to weave your message into his presentation, and he will illustrate that message using magic, comedy, and other demonstrations.